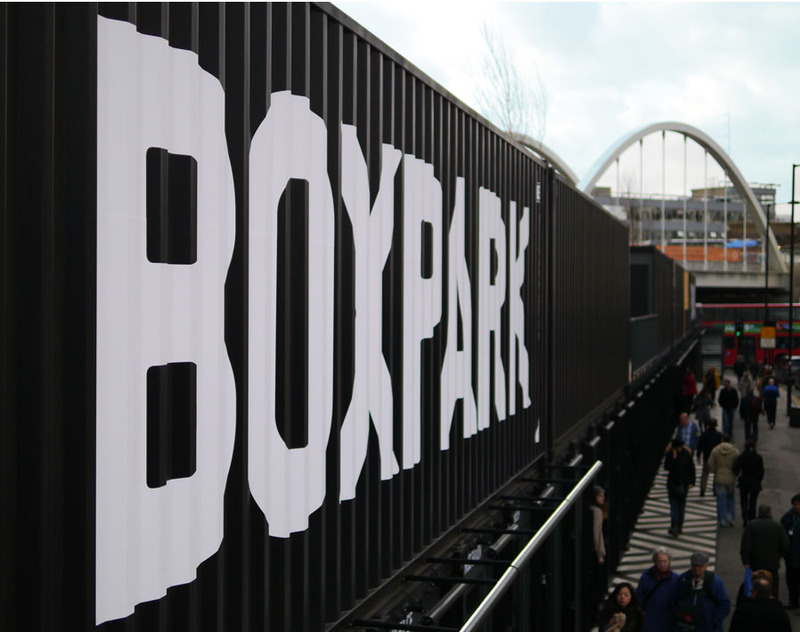 Declaring itself the first pop-up mall and constructed entirely of shipping containers, Boxpark by Shoreditch High Street station was due a visit. [dropcap]D[/dropcap]eclaring itself the first pop-up shopping mall and constructed entirely of shipping containers, Boxpark by Shoreditch High Street station was due a visit. With most of the boutique style shops taking up one container, they are of cosy proportions, but big enough to hold fitting rooms and helpful staff. If like me you get dizzy just thinking of entering Lakeside shopping centre, then Boxpark is the place for you. With hipster essentials OnePiece and Levi’s, food pit stops such as Pieminster and pin-up lingerie shop Playful Promises, there’s something for most folk. Preppy boys are well provided for with One True Saxon and Original Penguin amongst others, and there’s plenty of style inspiration to be found from visitors and staff alike. 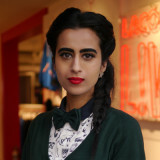 Rumesa Hussain from Ilford working at Lacoste. 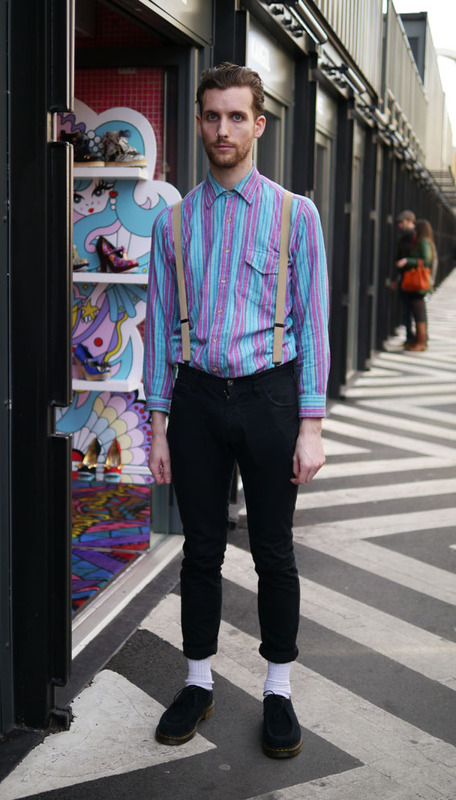 She wears a vintage skirt, tights h&m, River Island shoes, Zara jumper, Lacoste mens T-Shirt with a vintage bow tie. 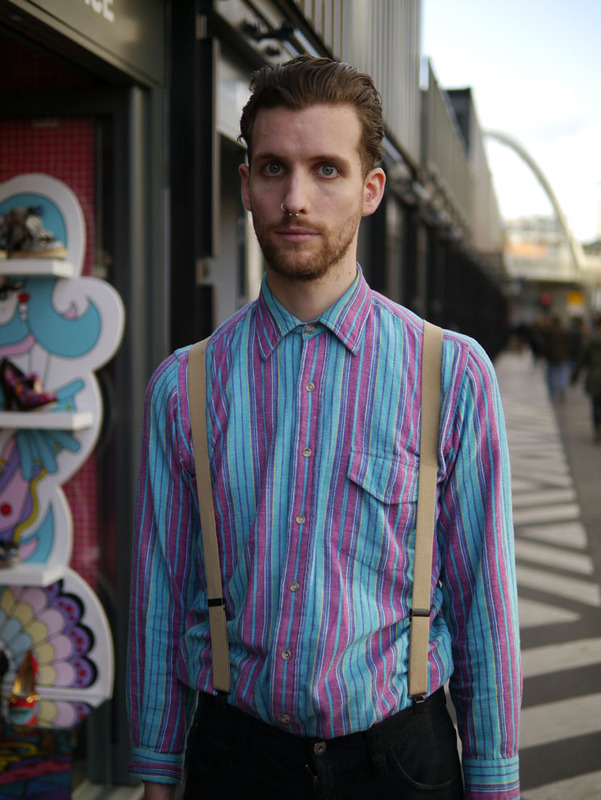 Luke Ferris in the Gola shop wears head to toe vintage from The Vintage Store on Brick Lane & Doctor Marten shoes. Siobhan Hogan, a clothes designer, wears dress, shirt and jacket, all vintage, scarf from ASOS and creepers from Underground. Her own clothing range Shop Floorwhore can be found on ASOS Marketplace. Liv montuori works in Gola as well as designing her own range of clothes viewable at liv-montuori.com. She wears jumper from Monkey and vintage glasses. 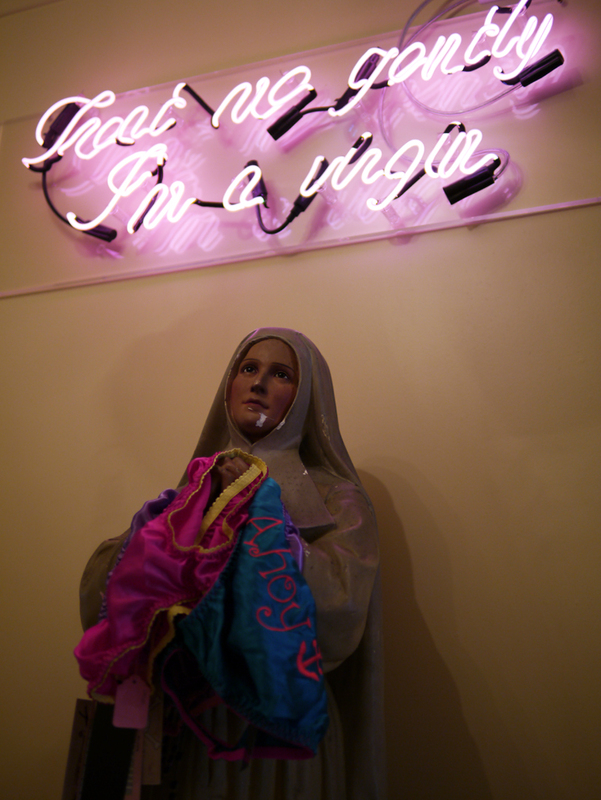 ‘Touch Me Gently I’m A Virgin’ in Playful Promises lingerie shop. How was the Indian Princess party?